I was craving for Kimchi Jjigae, so rif took me to Little Korea for lunch last Saturday. I ordered the Kimchi Jjigae while rif had the Bulgoki Jeoung Sik. Both the orders came with a bowl of rice. This time, the Kimchi Jjigae was really yummy. I reckon the kimchi they used was more fermented so there was more “kick”. The broth was thicker, richer and spicier. Each sip was satisfyingly good. 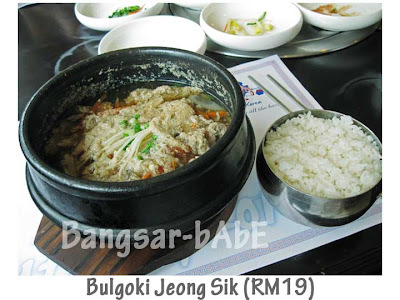 The beef bulgoki was quite a generous serve. Laden with enoki mushrooms, glass noodles and spring onions, it was really tasty with rice. The beef slices were tender and the broth was sweet. 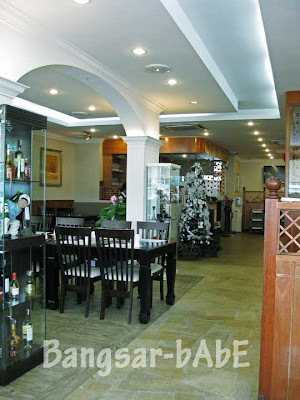 Lunch cost RM 39.60 inclusive of 10% service charge. Pretty reasonable for a good lunch and nice ambiance. Kickin’ kimchi! I too often wonder if fermentation level has a direct correlation to its taste. Must give this place a go! 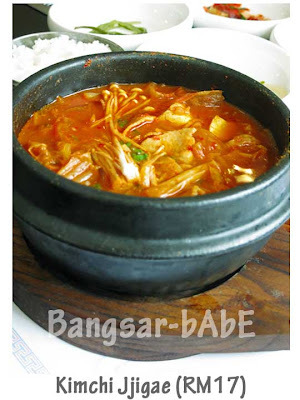 Kimchi Jjigae look tempting to me….